Almost all ambient electronic music is environmental. The question is often whether or not that environment feels natural to the listener, and in turn whether, in the case of naturalness, it feels ordinary or extraordinary — or more to the point, how far along those continua it might be situated. “Prelude for Spring” by Araceae, from the new album Lunae Semita, succeeds by keeping the ear guessing at various interstices throughout. It moves from space music to meadow atmospherics to vocal-infused heavenly choirs and back again over the course of just under seven minutes. According to a brief liner note, the actual field recordings were sourced in Upper Michigan, Detroit, Berlin, and Amsterdam. In the ear, they are all hyper-realized into sedate, emotionally rich renditions of idealized states. That is, up until the very end, when the crunch of (what sounds like) leaves underfoot fades in, and puts everything that preceded into further perspective. Araceae is Ryan Malony, who also records as Uun and is based in Detroit, Michigan. Track originally posted at soundcloud.com/faint-faint-music. Get the full album at faintmusic.bandcamp.com. More at and discogs.com. A deep, slow-moving pace marks “Naivete,” a nearly 13-minute track by Sima Kim. It is the sound of peace at first, but that peace gives way slowly to heightened anticipation. The pace divulges underlying momentum, the glacial quality thawing enough to reveal rapid patterning under the icy exterior. Lush haze turns into a hall-of-mirrors string section, gentle pads to sense-tingling vibrations. It is like the move from dusk to dawn, from the quiet hours to daybreak. And to mark the closure there is a hyper-extended fade out, roughly a minute and a half in length, during which the listener’s own environment is welcomed to participate in a similar transition. Track originally posted at soundcloud.com/sima-kim. More from Sima Kim, who is based in Groningen, Netherlands, at sima-kim.tumblr.com and simakim.bandcamp.com. Make a forgery of an old jazz song by using samples from three Edison cylinders. Deadline: This project’s deadline is 11:59pm (that is, just before midnight) wherever you are on Monday, March 26, 2018. This project was posted in the afternoon, California time, on Thursday, March 22, 2018. Step 2: Download the tracks from Step 1 and listen to them. Listen for elements you might employ in your own new recording. Step 3: Utilizing elements from Step 2, create a new composition that, to the extent you are able, sounds like it is from the same general era. Don’t add any other sound sources, though you can employ effects. 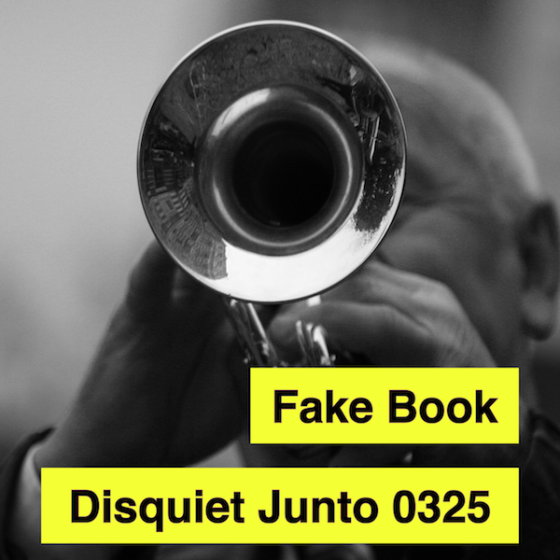 Step 1: Include “disquiet0325” (no spaces or quotation marks) in the name of your track. Step 2: If your audio-hosting platform allows for tags, be sure to also include the project tag “disquiet0325” (no spaces or quotation marks). If you’re posting on SoundCloud in particular, this is essential to subsequent location of tracks for the creation a project playlist. Length: The length is up to you. Roughly two minutes sounds about right. 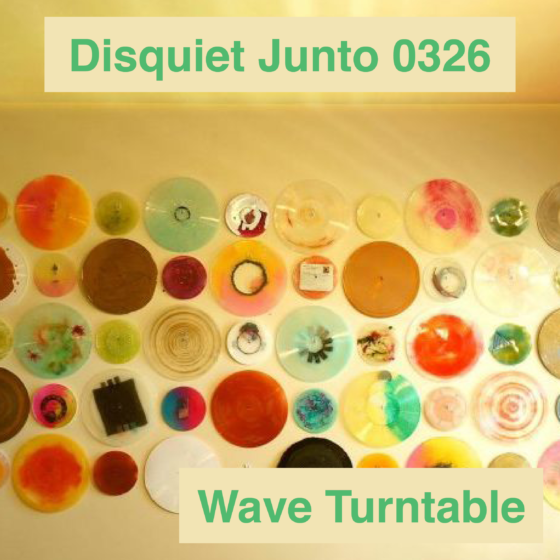 Title/Tag: When posting your track, please include “disquiet0325” in the title of the track, and where applicable (on SoundCloud, for example) as a tag. Paolo Mascolini, who is based in Italy, records ambient electronic music as Sōzu Project. There is a new Sōzu album, Garden, due out this coming month, on April 4. In advance of the release, Mascolini posted a teaser track on his SoundCloud account. At six minutes in length, it contains samples of 10 different sources, presumably the 10 tracks of the full forthcoming album. While “garden_teaser,” as it is titled, is clearly a sample menu of the full release, it is recommended as listening unto itself. Ambient music, especially in its nature-mimicking mode, free of overt beats and given to artful longueur, is something to get lost in, something that through sheer absence of evident footholds like melody and rhythm evades the full grip of attention and memory. Here, however, each track’s peaceful spaciousness is presented as a short snippet. In turn, the ear can not only focus on the individual elements, but compare the ambience in quick succession, each track represented by a roughly 33-second extract. There is, at the opening, the sort of bird-dense field recording that the album’s title suggests. Later come a variety of materials that might feel overall samey or of a type in full length, but here are are firmly distinct. There are drones with lighter birdsong and glitchy chimes, sea-sawing white noise, backward masked guitar with insectoid vibrations, and other sonic treats, some darker than others as the tracks progress. Track originally posted at soundcloud.com/sozu_proj. More from Sōzu Project at sozu-project.com and twitter.com/SOZUproject.